Eight of the Oddest Creatures you'll Encounter in Asia! But, amongst the mountains, rainforests, desert and all the other various landscapes Asia boasts, live a huge number of incredible, exotic beasts, many of which you will have never even heard of! Named for its prominent and unusual nose, the Proboscis Monkey is one of Asia’s largest monkey species with a pot belly that helps them to digest all the leaves they consume in their diet. The male monkeys are significantly bigger, with an extra-large nose to help attract the ladies, which is also happens to be useful in amplifying their warning calls through the jungle. Where are they found? 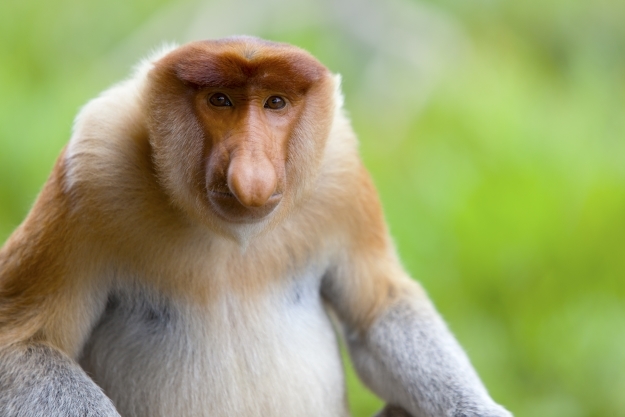 The Proboscis Monkey is endemic to jungles of Borneo. 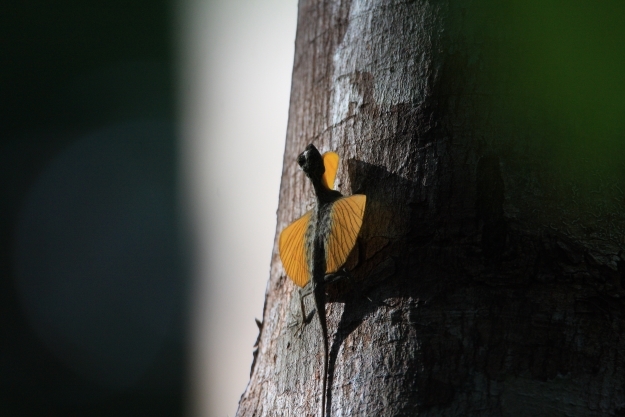 The tiny Draco Lizard has an extraordinary skill – the ability to soar from tree to tree! Each animal has flaps of skin attached to its ribs which can be extended into wings that catch the wind as it leaps between branches – they can glide up to 30 feet at a time. Although they spend all their time up in the trees, the female Draco Lizard lays her eggs on the ground. Where are they found? Draco Lizards can be found across South Asia in forests, plantations and jungles. 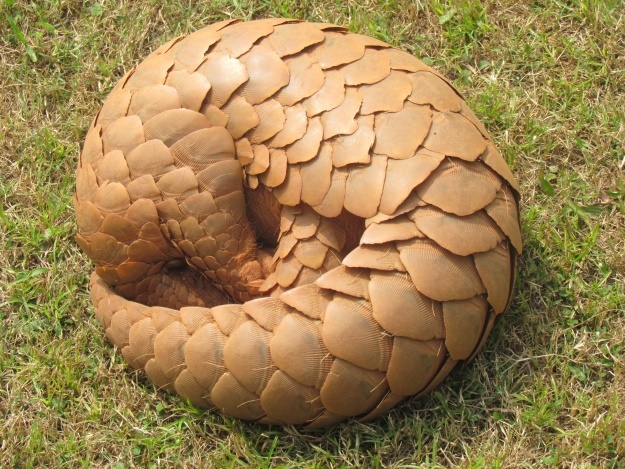 The magical Pangolin has a full armour of scales and are the only mammals known to have scales at all! When threatened they roll up into an impenetrable scaly ball. All pangolins enjoy a diet of ants and termites which they catch with their super long tongues. There four species of pangolin in Asia – Indian, Philippine, Sunda and Chinese. Unfortunately, pangolins are the most trafficked animals in the world, and both the Chinese pangolin and the Sunda pangolin are critically endangered. Where are they found? Pangolins nocturnally roam across southern China, Vietnam, Cambodia, Borneo, India, Nepal, Burma and the Philippines. This crocodilian creature has 110 teeth in its long, thin snout which it uses to chomp through fish it catches in its river habit. 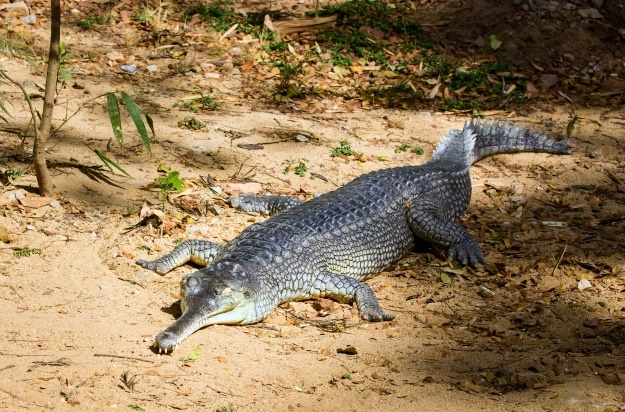 The average adult gharial measures between 3.5 and 4.5 metres. They dwell in fast-flowing rivers where there are sandbanks to bask on. Gharials are also critically endangered, with an estimated 235 individuals left in the wild. Where are they found? Gharials dwell in a couple of rivers in northern India and Nepal. 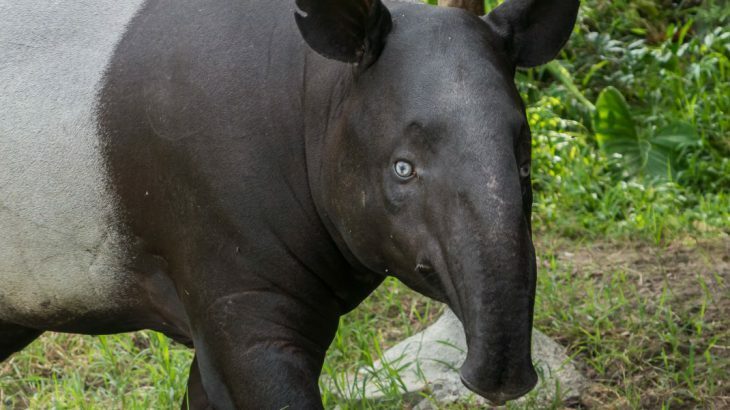 Standing just over a metre tall, the black and white Malayan tapir has a distinctive, long, flexible nose that it uses as a snorkel when underwater or to grab leaves and fruit off of trees. Baby Malayan tapirs are born brown with stripes and spots to help camouflage them in the dappled light of their rainforest home. 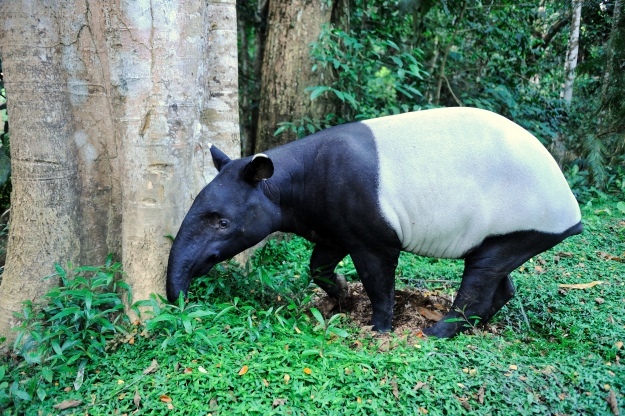 It is one of five species of tapir and the only one native to Asia. Where are they found? Malayan tapirs are found in the tropical forests of Indonesia, Burma, Malaysia. 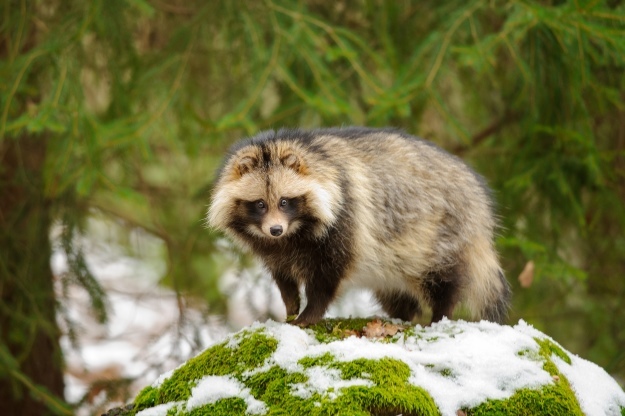 Also known as ‘raccoon dogs’, the tanuki may look like a long-limbed raccoon but they are actually more closely related to dogs and wolves. An important animal in Japanese folklore since ancient times, tanuki appear in a lot of Japanese art and have a reputation for being mischievous and jolly. The tanuki is generally nocturnal and a scavenger. Where are they found? Tanukis can be found across Japan. Also known as the flying lemur, even though it’s not a lemur and doesn’t fly, the colugo is a creature that lives high in the trees eating young leaves, shoots, flowers and fruit. The colugo soars between the treetops, using a huge gliding membrane that stretches from its front limbs, all the way to its tail. It is mainly nocturnal and clings to the trees or branches with all four of its feet. Where are they found? Sunda colugos inhabit the tropical forests of Southeast Asia. The softshell turtle looks a bit like a turtle that’s missing its shell. It’s back is soft and leathery to the touch and it lives in tropical, freshwater habitats. Its shape makes it more hydrodynamic than other turtles and it can swim extremely fast. 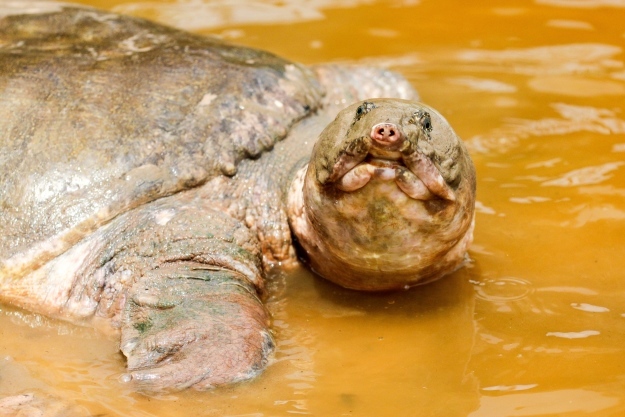 With its long neck and long snout with nostrils at the end, the softshell turtle can bury itself in mud and sand, or lurk in shallow water and breath through its nose like a snorkel. Where are they found? Asiatic softshell turtles can be found across Southeast Asia, while the Chinese softshell turtle is endemic to China as a whole. Book an escorted group tour to Asia or let us build you a tailormade itinerary, which can include any amount of searching for Asia’s amazing wildlife! Tour or tailormade, we can guarantee you an unforgettable trip. General adventure, nature, top things to see, wildlife. permalink.